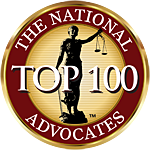 We offer our clients low, flat fees for Uncontested Divorce, Annulment, and Separation. No hidden charges. Pricing above includes ALL court filing fees and document preparation for uncontested divorce and annulment cases within New York City (Manhattan, Brooklyn, Bronx, Queens, Staten Island). Nassau, Suffolk, Westchester, Rockland, Orange and other counties shall vary. Flexible payment plans available for all clients.